Gary Wolstenholme reviews the new Nikon AF-S DX Micro NIKKOR 40mm f/2.8 Lens, an entry level macro from Nikon. 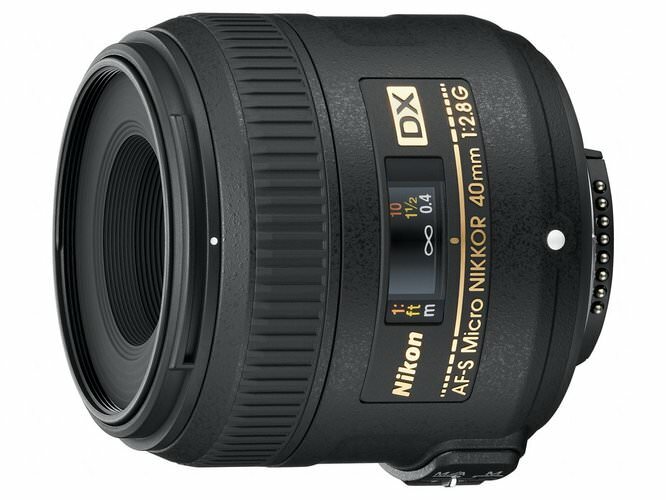 This 40mm macro optic from Nikon costs around £250 and provides a compact and lightweight alternative introduction to macro photography with a Nikon DX format digital SLR. It features a silent focusing motor and life size magnification at its closest focusing distance. 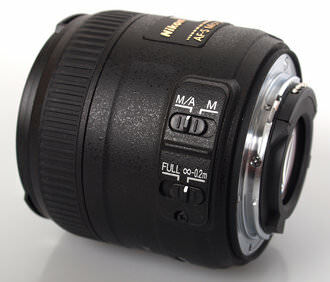 The closest alternative from third party manufacturers is Tokina's 35mm f/2.8 Macro lens, which costs around £380. This lens lacks the silent focusing of the Nikon optic and the slightly shorter focal length will reduce the working distance slightly. Weighing only 235g, this lens is amongst the lightest and most compact true macro optics currently available for the Nikon system, which will make it perfect for stowing in a the bottom of a camera bag, ready for when it is needed. 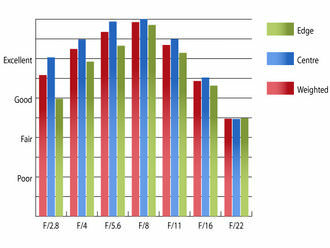 As a result it balances very well on the Nikon D300 body used for testing. High quality plastics have been used for much of the construction and the lens mount is made from metal, creating a quality feel. Although this optic makes no claims to be weather resistant, a rubber gasket has been included around the lens mount, to help prevent the ingress of dust and moisture into the camera. Manual focusing is performed via the narrow rubberised ring, which has just the right amount of resistance and travel to make fine adjustments straightforward. A minimum focus distance of 16.3cm provides life size magnification, but with little working distance. Care will need to be taken not to shade your subject when working this close, and the supplied lens hood may need to be removed. The hood is a relatively deep, circular affair which clips onto the bayonet fitting around the 52mm filter thread. Although this lens sports a silent wave focusing motor, focus speeds are quite slow, even when compared to other macro lenses in Nikon's line up. A focus limiter switch is a welcome addition, to help speed focusing by preventing the lens from tracking back and forth through the entire focus range when it is difficult to obtain a lock onto a subject. The lens extends during focusing, however the front filter thread doesn't rotate, which makes this lens perfect for use with polarising and graduated filters. At maximum aperture the clarity in the central portion of the frame is already excellent and the quality towards the edges is just a shade below good levels. Stopping down improves sharpness further across the frame until f/8, where the clarity is outstanding across the frame. After this diffraction takes a bite out of the sharpness, but the clarity is still good down to f/16. Chromatic aberrations are kept to low levels, with them peaking at 0.74pixel widths at f/16 towards the edges of the frame. This low level shouldn't pose any issues, even in large prints or harsh crops from the edges of the frame. Falloff of illumination towards the corners is very well controlled. At maximum aperture, the corners are only 1.07 stops darker than the centre of the frame and stopping down to f/5.6 results in visually uniform illumination. As you might expect for a fixed focal lens, distortion is virtually negligible. Imatest managed to pick up 0.253% barrel distortion, which is a very low level and it shouldn't be noticeable under most shooting conditions. If no distortion at all can be tolerated, then it should eb easy to correct in image editing software afterwards, as the distortion pattern is consistent across the frame. When the lens is focused to infinity, the front element is heavily recessed within the lens barrel, which does an excellent job of preventing light sources from out side the frame causing flare and loss of contrast. A relatively deep circular lens hood is also provided for further protection. When shooting into very strong light sources in the frame, such as the sun, contrast holds up well and the lens rarely causes any flare in the image. What is there not to like about this 40mm macro optic from Nikon? It's lightweight, compact and delivers images with excellent sharpness and contrast with low distortion, falloff and chromatic aberrations. Priced at around £250, it represents excellent value for money, especially for those looking for a decent introduction to macro photography, especially if the short working distance isn't an issue for you. 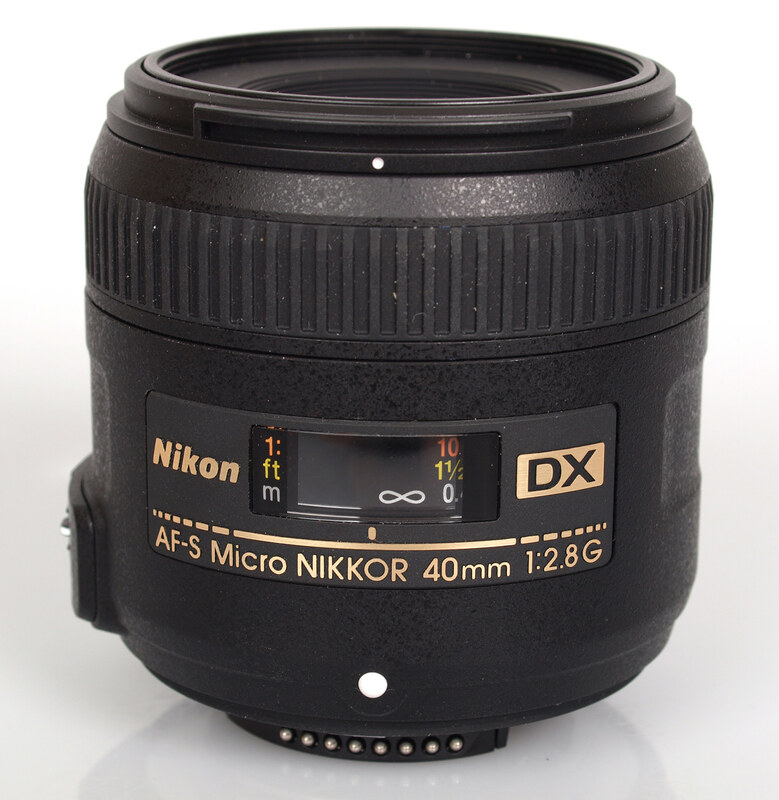 The Nikon Micro 40mm f/2.8 delivers excellent images and represents excellent value for money. Box Contents supplied with a lens hood HB-61 and soft lens case CL-0915. 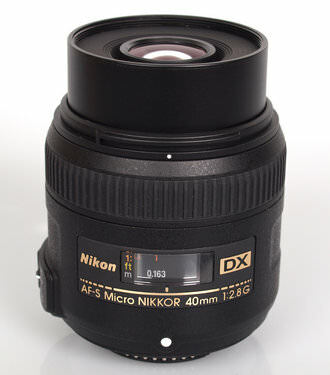 I have been looking into getting a nikon macro lens , but currently a little confused the 40 mm 60 mm 105mm all state 1:1 magnification . So why is there 3 differnt focal lengths if magnification is the same. Because for any given magnification you are further from the subject. Say you were filling the frame an an insect and with the 40mm lens, it was 4 inches away from the camera. 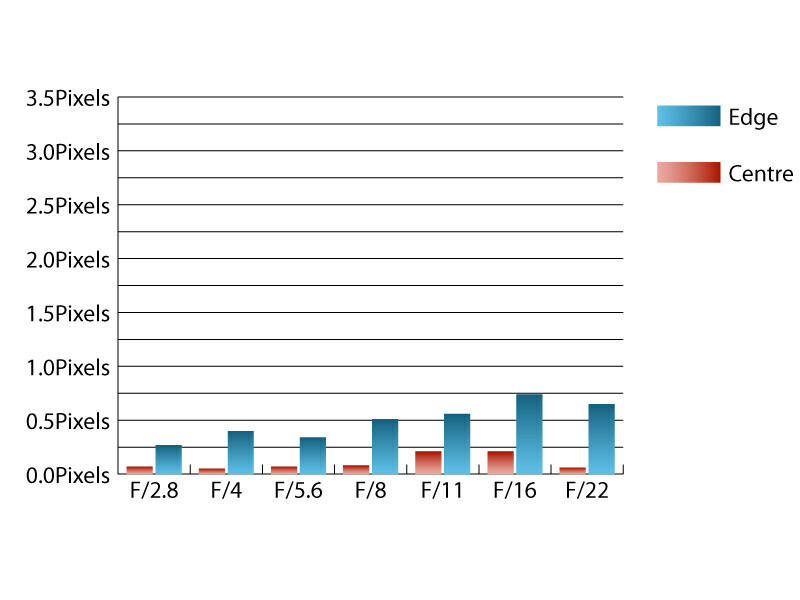 With the 60mm, it would fill the frame at 6 inches and with the 105mm at a fraction over 10 inches. In other words, the longer lens gives you more distance between camera and subject. 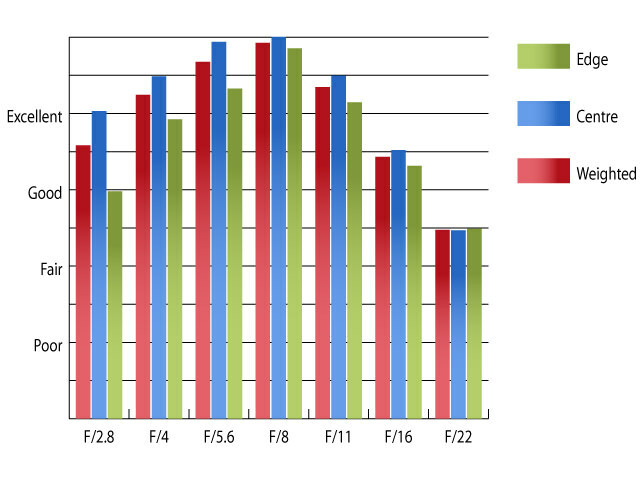 DOF, it is the same at 1:1 for all focal lengths. Some people find this counter-intuitive but it is so. In fact, nearly all macro work is done at small apertures. I find a 105mm ideal for most macro and very close up work. Macro lenses make good general purpose lenses too so that can influence your choice of focal length. I used to have a 35mm focal length macro lens but found at close to 1:1 objects were almost touching the lens and inhibiting my work. Ahhh Thanks lemmy for your in depth reply appreciate the time taking, I understand now thanks the 105mm lens is the one I thinking of getting. Thanks lemmy for your in depth reply appreciate the time taking, I understand now thanks the 105mm lens is the one I thinking of getting. Hi, you mentioned in handling and features(also in cons) section that this lens lacks a focus limiter switch. I got to play with this lens 2 days back and I remember seeing a 2-stop focus limiter on this lens. Compared to Canon 100mm f/2.8L and Sigma 150mm f/2.8 Macro lens the 2-stop focus limiter seem a little primitive and is not that useful. Still please correct that as it is a little misleading. Thanks in advance. What have stops got to do with focus, Chaitanya? Looks very plastic and cheap looking for £ 250 quid is there any metal in it ? @Lemmy: On most macro and high end tele-photo lenses a focus limiter switch is implemented which can be used to avoid excessive focus hunting during AF operation. Stops are essentially the number of positions of this switch which limits the focusing range. Most lenses have a 2 position switch which is little crude and primitive compared to 3 position switch present on some other lenses. Oh, right. I was a professional photographer for35 years so for me stops are what you have around the lens. Focus limiter is what I call it. I have to say my 105mm Sigma macro has one focus limit switch and it's plenty. I wouldn't use auto focus for macro anyway, though. Oh, right. I was a professional photographer for35 years so for me stops are what you have around the lens. Focus limiter is what I call it. I have to say my 105mm Sigma macro has one focus limit switch and it's plenty. I wouldn't use auto focus for macro anyway, though. Hi Chaitanya, this lens does have a focus limiter switch, and we have corrected this error, and added photos of the lens to help visualise it for everyone. We also plan on adding lens shots to future reviews as well so that this kind of error doesn't happen again, thanks again for your comments (everyone). @Lemmy: I prefer to use macro lenses in Af mode due to following reasons- I work with reptiles including venomous snakes. So even with my Sigma 150mm Macro while taking head shots, everything above my shoulder is well within the striking range of most of my subjects. Of all the 50-odd venomous snakes found in India anti-venom is available for only 4 species of snakes. I am not so good with manually focusing so for my safety I choose to use auto-focus even if it is slow. @Joshwa: Thanks for the review. @Lemmy: I prefer to use macro lenses in Af mode due to following reasons- I work with reptiles including venomous snakes. So even with my Sigma 150mm Macro while taking head shots, everything above my shoulder is well within the striking range of most of my subjects. Of all the 50-odd venomous snakes found in India anti-venom is available for only 4 species of snakes. I am not so good with manually focusing so for my safety I choose to use auto-focus even if it is slow. @Joshwa: Thanks for the review. Yes, looking at your fascinating pictures I can see why you say what you do! Sometimes it is hard to see why someone wants something that one personally does not think important. In your case I can say I understand absolutely. Given the danger, you must really love and respect your subjects. Beautiful and valuable pictures they certainly are. Is there no-one who makes a 2000mm macro lens? Southpole has touched on something I wanted to raise. We would both welcome a COMPARISON heading in your Review. Southpole, needs the various Nikon Micro lenses compared (possible a few third parties as well) and I would like to see a comparison of the 35, 40 and 50mm lenses. All 3 very close in spec. but which is the best? That was a great explanation of the relationship between mm and distance from lens in for 1:1 magnification. Is that also the closest to the subject I can get with the 40mm (4 inches), 60mm (6 inches) & 105mm (10.5 inches) before loosing focus? 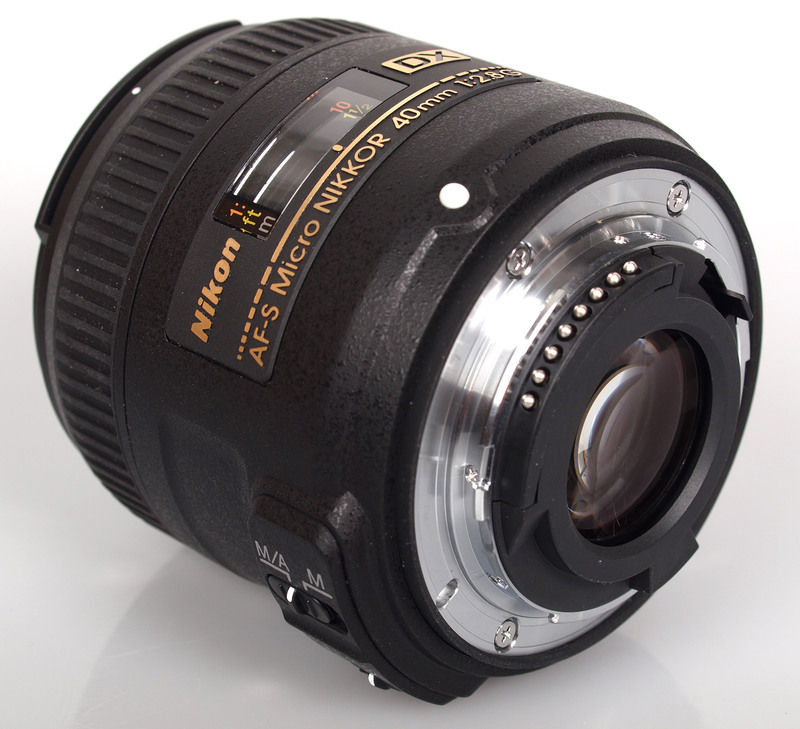 Is there any indication that Nikon will update their 200mm macro lens any time soon? I love my 60mm macro for photographing inanimate objects, but living things need more distance from the camera. I've been thinking about getting the 105mm, but I'm not sure the extra 4 inches of distance is enough for the investment. That was a great explanation of the relationship between mm and distance from lens in for 1:1 magnification. Is that also the closest to the subject I can get with the 40mm (4 inches), 60mm (6 inches) & 105mm (10.5 inches) before loosing focus? Is there any indication that Nikon will update their 200mm macro lens any time soon? I love my 60mm macro for photographing inanimate objects, but living things need more distance from the camera. I've been thinking about getting the 105mm, but I'm not sure the extra 4 inches of distance is enough for the investment. [quote]Is that also the closest to the subject I can get with the 40mm (4 inches), 60mm (6 inches) & 105mm (10.5 inches) before loosing focus? [/quote] No, those figures I gave are for comparison only, to show the difference in using one focal length lens or another. They don't actually relate to 1:1, just an illustration in relative distances. On the other question on Nikon's intentions, I'm just a punter here so I don't have any more insider info than you do, sorry. I've just done a quick measurement on my 105mm Sigma macro. My camera doesn't have a focal plane marking as far as I can see but from where I judge it to be in the rear of the camera body, at 1:1 focus an object is 32cm away. Any other figure, like from the front element of the lens would be meaningless since the length of lenses varies so much. That 32cm will be within a few mm accuracy but I don't have any scientific equipment, just a ruler. Like I say, I'm just a punter, so if anyone knows better, please say so. What is sure is that if you have a sensor that is 23mm across, at 1:1 a 23mm wide object will fill the frame side to side. Quote:Is that also the closest to the subject I can get with the 40mm (4 inches), 60mm (6 inches) & 105mm (10.5 inches) before loosing focus? 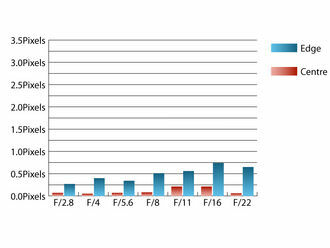 No, those figures I gave are for comparison only, to show the difference in using one focal length lens or another. They don't actually relate to 1:1, just an illustration in relative distances. On the other question on Nikon's intentions, I'm just a punter here so I don't have any more insider info than you do, sorry. I've just done a quick measurement on my 105mm Sigma macro. My camera doesn't have a focal plane marking as far as I can see but from where I judge it to be in the rear of the camera body, at 1:1 focus an object is 32cm away. Any other figure, like from the front element of the lens would be meaningless since the length of lenses varies so much. That 32cm will be within a few mm accuracy but I don't have any scientific equipment, just a ruler. Like I say, I'm just a punter, so if anyone knows better, please say so. What is sure is that if you have a sensor that is 23mm across, at 1:1 a 23mm wide object will fill the frame side to side. I'm an enthusiastic, pretty beginner ftogrfr. I've Nikon D5100, now i'm confused to choose one between Nikkor 50mm f/1.8G and Nikkor 40mm f/2.8G micro. I like portraits as well as landscapes and day to day fotografy etc.. I need the SHARPER lens. Pls help me. Either of those lenses would be more than sharp enough for anyone. Both act as short telephotos on your camera. For portraits the 50mm is a nicer focal length but the 40mm would be fine too. For classic landscapes, most people would think in terms of a wider angle than these, something from 18 to 24mm. Sounds to me like you would be best served by a standard zoom, 18 - 55mm f2.8, something like that. Micro(macro?) lenses are quite specialized and good as they are it is probably not worth buying one unless you intend to use the ultra close focus facility. Either of those lenses would be more than sharp enough for anyone. Both act as short telephotos on your camera. For portraits the 50mm is a nicer focal length but the 40mm would be fine too. For classic landscapes, most people would think in terms of a wider angle than these, something from 18 to 24mm. Sounds to me like you would be best served by a standard zoom, 18 - 55mm f2.8, something like that. Micro(macro?) lenses are quite specialized and good as they are it is probably not worth buying one unless you intend to use the ultra close focus facility. Thank u so much for ur earliest reply. I'll be hunting with 40mm as i like to take close snaps. @lemmy: I have the 40mm on my D3100 and it is a really really good lens all the way around. Nice sharpness, vivid colors, fantastic bokeh. But now I'm putting my eyes on the 35mm f1.8 DX, because I find the 40mm too narrow for some indoor shots (if I want to take a picture of a standing person, for example). But thinking about it, the focal lenght doesn't differ so much..in your opinion, buying the 35 would be as buying a "double" of my 40, as far as angle of view is concerned, or it will be actually useful? I already considered the other issues and features, so I have no doubt but this..if you could tell me what you think about it I would really appreciate it! Also: is there a third-part teleconverter for D3100 to use with the 40mm? thank you very much! @lemmy: I have the 40mm on my D3100 and it is a really really good lens all the way around. Nice sharpness, vivid colors, fantastic bokeh. But now I'm putting my eyes on the 35mm f1.8 DX, because I find the 40mm too narrow for some indoor shots (if I want to take a picture of a standing person, for example). But thinking about it, the focal lenght doesn't differ so much..in your opinion, buying the 35 would be as buying a "double" of my 40, as far as angle of view is concerned, or it will be actually useful? I already considered the other issues and features, so I have no doubt but this..if you could tell me what you think about it I would really appreciate it! Also: is there a third-part teleconverter for D3100 to use with the 40mm? There's too little difference to justify having both. The 40mm already has quite a wide angle of view for a macro lens and having had a 35mm macro lens myself, I think that that focal lengths is a bit too short for a macro anyway, since you need to be so close to your subject. If you want to take full length pictures of someone indoors, you'd be needing a widish angle lens, Probably a standard zoom starting at around 18mm would be best. At this kind of focal length macro pictures would require you to be practically touching the lens for a full 1:1 picture. In other words, for the two types of pictures you mention, macro and people full length indoors, there is no one lens that can do both. Tele converters are OK for increasing the focal length of a telephoto lens but would ruin the optical performance if anyone tried to make one for shortening the focal length. I don't thnk anyone does so for Nikon lenses, anyway. So, two lenses it has to be, I'm afraid. There's too little difference to justify having both. The 40mm already has quite a wide angle of view for a macro lens and having had a 35mm macro lens myself, I think that that focal lengths is a bit too short for a macro anyway, since you need to be so close to your subject. If you want to take full length pictures of someone indoors, you'd be needing a widish angle lens, Probably a standard zoom starting at around 18mm would be best. At this kind of focal length macro pictures would require you to be practically touching the lens for a full 1:1 picture. In other words, for the two types of pictures you mention, macro and people full length indoors, there is no one lens that can do both. Tele converters are OK for increasing the focal length of a telephoto lens but would ruin the optical performance if anyone tried to make one for shortening the focal length. I don't thnk anyone does so for Nikon lenses, anyway. So, two lenses it has to be, I'm afraid. Just wondered if anyone had experience of this lens and Tamron SP90 - as I am still unsure which to get? Had this about 3-4 months now and think its absolutely wonderful!! 12 months on and still VERY happy with it - I don't shoot insects but rather textures and other inanimate objects and this for me is perfect. The macro shots are just quality! I also use it as a lightweight walk-about lens, at less than £200 now - a bargain.